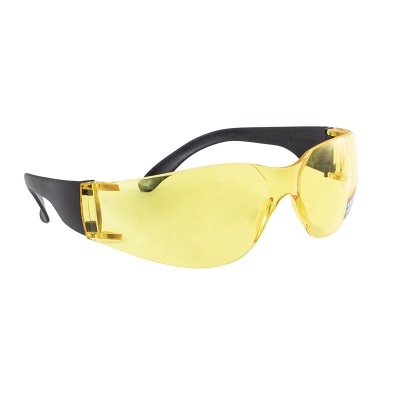 With a lightweight, comfortable and protective design that provides minimal obstruction and discomfort, the Supertouch E10 Yellow Safety Glasses are ideal for a variety of applications. Featuring yellow lenses that provide UV protection, these glasses are ideal for people who work outdoors. To ensure that your glasses retain their high level of clarity – even after extended periods of use – the E10 Safety Glasses feature scratch-resistant polycarbonate lenses. This makes the glasses ideal for work that requires both protection and a high level of attention to detail. The E10 Glasses are available in a universal size that should suit most users.